At the heart of healthcare is caring for the well-being of your patients. For that, you need effective communications to make sure they feel cared for. 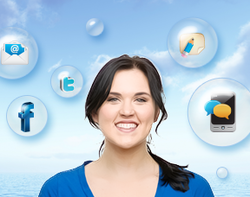 My Media Marketing's All-In-One Messaging solution provides multiple ways, from email and mobile texting to Facebook and Twitter, to keep your patients informed and reminded. you’ll minimize the time spent making courtesy calls and capture those valuable business opportunities. Healthy living starts with good medical advice. Let your patients signup through an online sign-up page to receive informative monthly e-newsletters. Even customize the email with helpful images and your logo. 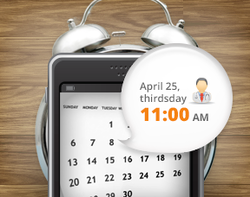 Send timely SMS notifications to remind them about check-ups and seasonal shots. And spread the word about special events, like fundraisers and other functions, via social media updates that fans and followers can share with their friends. Patients feel better when you know them by name and their individual needs. Build trust by individualizing your communications. 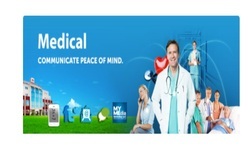 Send helpful SMS alerts to remind patients to take their medication. On special occasions, like holidays and birthdays, send a warm mobile eCard to remind them you’re there for them. Coordination is critical in running a healthcare organization. 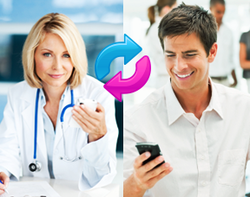 Keep your staff up-to-date with the latest information in real-time via SMS blasts. 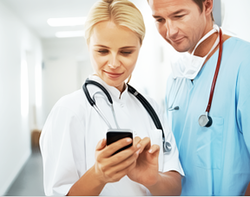 Send quick text messages to inform doctors and nurses of shift changes or other urgent announcements. For upcoming seminars and events, schedule periodic e-newsletters that can be delivered to specific groups, like doctors, nurses, technicians, or office staff.